"I write because it would be difficult not to. Lima, Peru, is filled with stories that go untold. I met these stories close up at every moment, and many of them turned themselves into people, who became people I love, and their stories became my own. These people engraved their lives into mine ...the children of Lima have graffitied their names in the wet cement of my soul. It is for them that I write this book - to give them a voice, and in so doing, to bring them the justice and love all humans deserve to receive. This book contains the voices of those dear children who became my wise teachers ...gentle little children who grew up too fast - those who, to the world, are nothing but a thief. 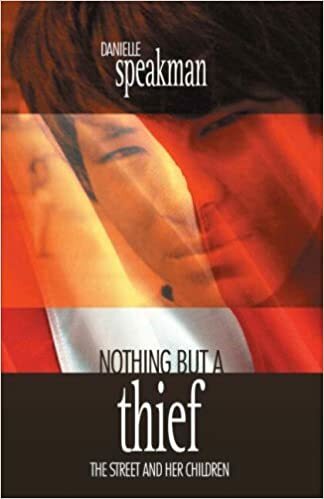 Nothing but a thief, and everything but a child ..."
American author Danielle Speakman spent several years engaged in relief work amongst steet children in Lima, Peru. She was deeply affected by her experiences there as she sought to bring practical aid and to share the love of Christ with some of the neediest on the earth today. This powerful and moving book aims to bring the plight of children into sharp focus again for the Church.